Chefalo relates the details of her life as representative of the need for significant reform—if not total reinvention—of the current foster care system. 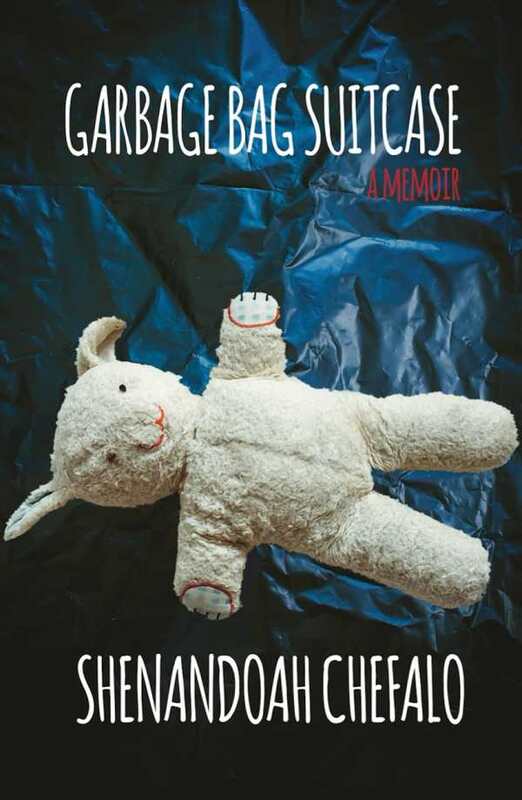 Shenandoah Chefalo presents an intimate, unapologetic critique of the foster care system in her memoir, Garbage Bag Suitcase, which she writes with authority, from a personal perspective. Having survived the foster care system’s endemic fractures—following her experiences as the child of a “broken” and terminally transient home—Chefalo establishes trust throughout her memoir, right to its climatic, yet unpredictable conclusion. This well-crafted and controlled personal narrative avoids the traps of sentimentality that are easy to fall into when exploring emotional territory. Reflections are clearly stated in uncluttered sentences, making hers an honest and reliable voice. She successfully avoids clichéd sentiments, generalizations, and assumptions, by restricting her authority to her own experiences and relying on data to support larger claims and her subsequent call for reform. According to Chefalo, pursuing her own education, whether in collaborative settings or through individual reading and research, aids in her healing process and has proven a valuable tool of control and creation. Part of this ongoing education involves investigating alternatives to the current foster care system, two of which Chefalo endorses as sound replacements: 1) boarding schools where children can focus on their futures, rather than their troubled pasts; and 2) programs that support whole-family fostering, in which an entire family, rather than just the child or children, is collectively cared for by local social service professionals. By citing current examples of each proposal—the former represented by North Carolina’s Crossnore School; the latter, by a social program located in St. Paul, Minnesota—Chefalo’s research makes these compelling concepts actually look viable. The author is able to thoughtfully trace connections between her individual experience with the foster care system and that system’s larger role in feeding other institutions inherent in a large society, like welfare and prison. Writing in a conversational, approachable tone, Chefalo makes her personal experience as part of a unique population universally appealing. The illustrative quality of her writing makes it easy to see and interact with her ever-shifting settings, characters, and experiences. However, this memoir will be of particular interest to those who personally identify with the foster care system. Chefalo deftly illustrates her own life as representative of the need for significant reform—if not total reinvention—of the current foster care system, and as a vehicle to navigate possible pathways to realize change.